A PawPrint! 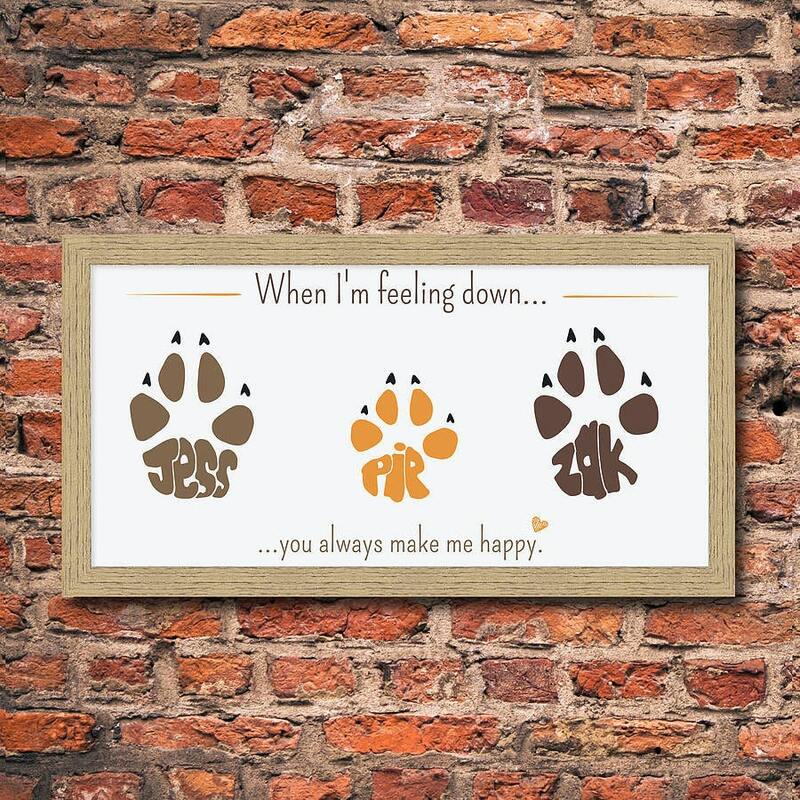 A unique and highly personalised print, drawn by hand initially, showing the pawprints for your pets. A perfect gift, full of thought, or perhaps a chance to treat yourself or your pets. 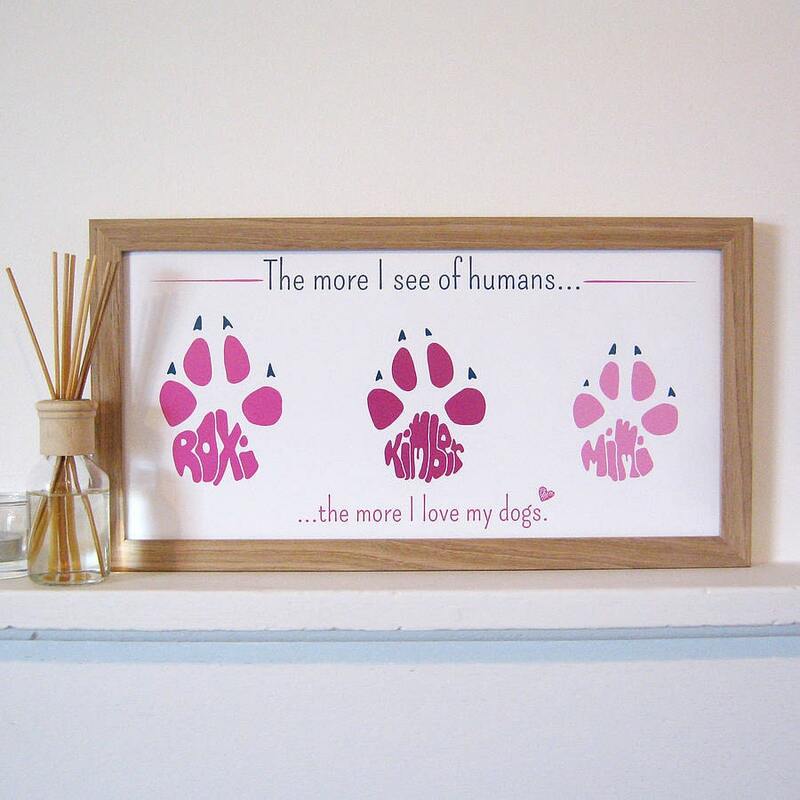 The PawPrints are made exactly to your requirements, text and colours of your choice, and beautifully printed. Charis is happy to draw any type of paw print, but the more information you provide, the better. The picture grows in width according to how many paw prints are ordered, if you need more than 7 paw prints please 'start a convo'. Enter in the information required to make your design in the 'message to seller' box at checkout. 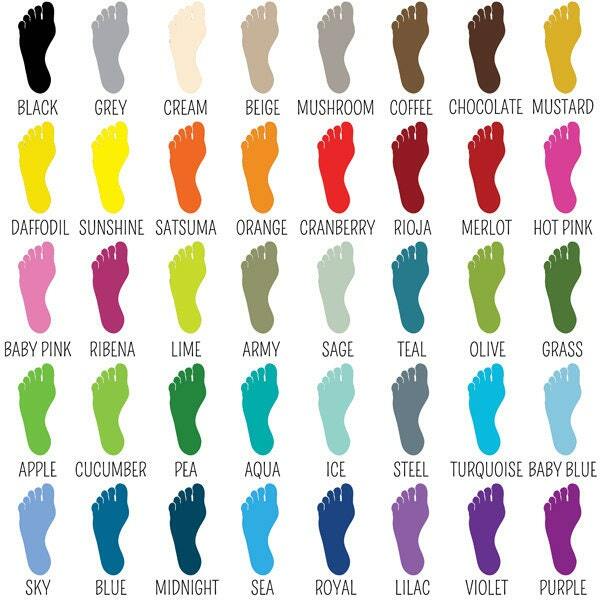 For each paw, please provide the name, the type of animal (& size) and your chosen pawprint colour. Claws (where applicable) will be black unless you request otherwise. Please enter your 'title' and 'footer' text carefully as it will be copied exactly onto your PawPrint, including capital letters and punctuation. The colour for the text and the Title lines (either side of the title) will be chosen to coordinate with your paw colour choice, but if you have a request, please clarify in the message. If you'd like to receive a proof on email, prior to printing, just ask! But realise that this may slow the order process down. The PawPrints are printed on 235gsm, Satin Photo Paper. The colours Charis uses are sharp and vibrant and stand the test of time, looking great on any wall! Please allow up to 14 days to dispatch your order, although if you are in a hurry - please do not hesitate to let us know and we'll do all that we can to speed things along. PawPrints will be wrapped in turquoise tissue paper, and dispatched in a sturdy cardboard tube.